Who would have thought these drool-worthy desserts are in fact actually made up of the majority being vegetables, whole grains and tons of nutrient rich foods. Our nation has such a sweet tooth, which is constantly growing with everywhere you go finding sugar loaded, baked goods. You can buy flapjacks, muffins, chocolate bars and so many more tasty snacks but they’re generally all full of refined sugars. Why not try DIY vegetable desserts.. Yes they sound a tad scary, but don’t be put off! They’re packed full of fresh vegetables, fruit and nutrients and would pass as your favourite sweet treat, if not better! 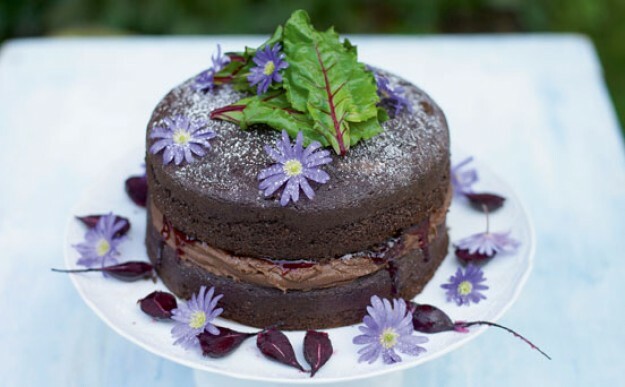 The vegetables add moisture, colour, texture and flavour to your favourite sweet treats making them irresistible. Don’t take our word for it—whip up one of these sweet treats and see for yourself! 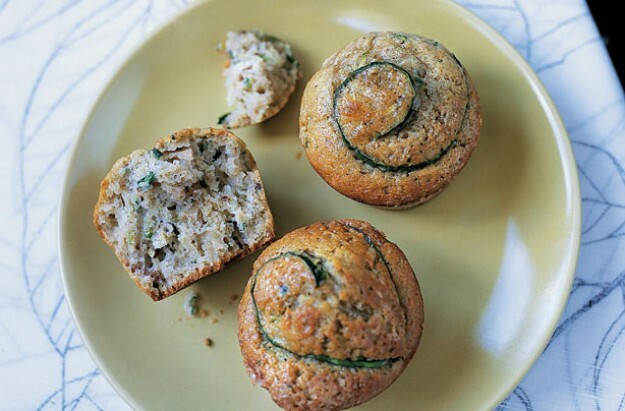 Courgette and apple muffins – If you haven’t yet tried courgette in sweet recipes, you’re in for an absolute treat. Deliciously moist and packed full of wonderful nutrients! Boil the beetroot in water until it’s tender to the point of a knife, probably about 30 minutes. Drain and allow it to cool for 30 minutes or so, then remove the skin and coarsely grate the beetroot. Preheat the oven to 180°C/160°C fan/gas mark 4, and prepare two cake tins (20cm in diameter) by lightly buttering them and lining with baking parchment. Beat the sugar, eggs and oil together, either by hand or in a food processor. Add the grated beetroot and cocoa and blend well. Finally, sift in the flour and bicarbonate of soda and mix again. Divide the mixture between the cake tins, smoothing down flat. Bake for about 35 minutes, until the cakes feel springy to the touch. Remove from the oven, let them stand for 15 minutes and then gently turn out on to a wire rack. While the cakes cool, make the butter-cream filling. Beat the butter, sugar and cocoa together, then drizzle in the milk and beat some more. Add a little more milk if you think it’s needed: you want the filling to be very smooth and to hold its shape. 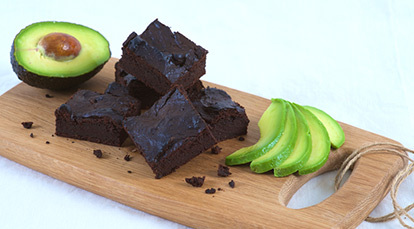 Avacado Choco Brownies – super creamy, deliciously moist and extra healthy decadent brownies! Preheat oven to 200 degrees C/ Gas mark 6/ 400F (180 degrees C for fan). Line a 25 x 30 cm tin with greaseproof paper. Melt the chocolate in a medium bowl over a pan of simmering water- making sure that the bowl doesn’t touch the water. Set aside to cool slightly. Using an electric beater, whisk the eggs and sugar together for about 5 mins until light and fluffy. Mix the cocoa, almonds, vanilla and avocados into the melted chocolate. Add the chocolate mixture to the eggs and whisk together until combined. Pour mixture into the prepared tin and level. Bake for 25-30min until set. Allow to cool completely in the tin before cutting in to 20 squares.